About a year ago The Asylum found a new talent in filmmaker Liz Adams and immediately put her to work on what is arguably the best film in their lengthy catalog of suspect movies… 'Air Collision'. Let's not get too terribly confused because 'Air Collision' was certainly suspect as a work of cinema as well, but it had a combination of non-stop lunacy and low budget action that made it almost irresistible. Since that film was a success… I guess… Ms. Adams can now be prepared to be brutally exploited for low pay as an Asylum contract filmmaker as her follow up to that classic 'Super Cyclone' has been released to an unsuspecting public. This movie too is filled with total lunacy and a nice collection of non-stop low budget action, but we must report that 'Air Collision', 'Super Cyclone' is not. Some dudes are doing some off-shore oil drilling, when they drill too deep and hit a some molten lava. This also happened in the movie 'Swamp Volcano' which created a Volcano in the Swamp, but here it's created a 'Super Cyclone' which is causing a ruckus on the west coast. Colonel Chadwick (Darrin Cooper) needs to know what's going on because the atmospheric disturbances have created a low pressure rift in the low-lying continuum, and to get these answers he turns to NOAA researcher Dr. Jenna Sparks (Ming Na). Dr. Sparks will be a very busy girl in this movie, first jumping on a cargo ship to go someplace to talk fancy fake science talk with her colleague Dr. Cavanaugh (Andy Clemence) while the ship gets tossed and turned by the cyclone, then she jumps in the helicopter, because in addition to being super smart and damned good looking she's also a ace helicopter pilot, she makes a stop to the oil rig that caused this mess to look at stuff, talk some more fancy fake science talk and pick up engineer Travis Verdon (Nicholas Torturro) and his crippled whiney uncle Clegg (Wayne Lopez). Now it's back to the ship to get tossed and turned some more, then back to the helicopter to try to make it to Cyclone Confab Central and Colonel Chadwick and his team of concerned cyclone busters to fix the problem before they cyclone caves in the entire west coast. Now the adventure is really afoot as Dr. Cavanaugh, Dr. Sparks and Engineer Verdon get rocked by ice hail, fire hail, flash floods, killer sinkholes, angry homeowners who don't like to be carjacked, unreasonable soldiers, and crazy tornadoes that like to lift cars up into the sky and gently drop them back down to the ground completely intact, all just to make it to Cyclone Central to save us all. I think. So how does one stop a Super Cyclone started by a Super Volcano? You should probably consider delivering a payload of hyrdocharged silver iodine nanoflakes into the storm which will generate a series of controlled lightning strikes to break up the vortex. Duh. 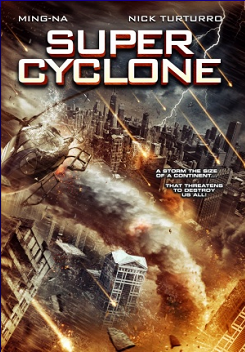 I, like yourself I'm sure, have seen a bunch of end of days disaster movies that feature a wealth of fake science prattle, but writer Liz Adams might've have just taken the fancy fake science talk crown with her movie 'Super Cyclone'.  This is not a good thing. You see this movie had so much fake science chatter that it was almost like watching a Shakespearean play because most of the time I had no idea what anybody was talking about. Ah… make that all of the time. To Ming Na's credit, she had no problem reciting all of the Shakespearean fake science she was reeling off in a way to make it look like she knew what the hell she was talking about, but after a while it did become taxing keeping track of it all. But it's not the plethora of fake science talk that prevents 'Super Cyclone' from reaching the heights that had been gloriously set by 'Air Collision'. 'Super Cyclone' seemed to suffer from a scope that sorely outstripped its budget, and director Liz Adams didn't have enough workarounds in her toolbox to fix the majority of these issues. When your oil rig is literally melting from fire in the long distance CGI shot and then in the close up shot of two actors on this rig there's not a hint of fire to be seen… that kind of takes you away from the cinematic lunacy. Same as when you are in your auto getting pelted with hail, and then there's no hail when you get out of your car, just to name a couple of examples, one can't help but notice these things and it does take one away from the moment. And while 'Air Collision' was controlled lunacy, 'Super Cyclone' was sheer discombobulated lunacy. Yes, we expect and even welcome some insane nonsense in these movies we watch, but 'Super Cyclone' left us in a lunacy haze. Almost at no point did we have any clue what was going on, thanks to the fake science talk overload and a story I found damn near impossible to follow along with, which is something I like to do with movies every once in a while. Still, there is some Air Collision-esque type magic to witness, like when a pair of characters, seeing all is lost, decided to end it all. I can't spoil it for you but that was damned hilarious. Or another characters complete inability to jump over what looked like 7 inch crevice in the ground. We were also happy to see the return of Darrin Cooper who was completely awesome in Air Collision with his intensity, and he's still awesome here but he did tone it down a bit. The overacting chops that Darrin Cooper left on the table were absorbed by Asylum regular Dylan Vox who brought the house down with his role as the beleaguered engineer, and we do hope actress Jamie Burton-Oare becomes the next Asylum regular partly because she's a pretty good actor and partly because she's from Flint. 'Super Cyclone' was a bit of a disappointment as we did have some expectation of more controlled lunacy from director Liz Adams, but it just didn't come together this time around like we hoped.